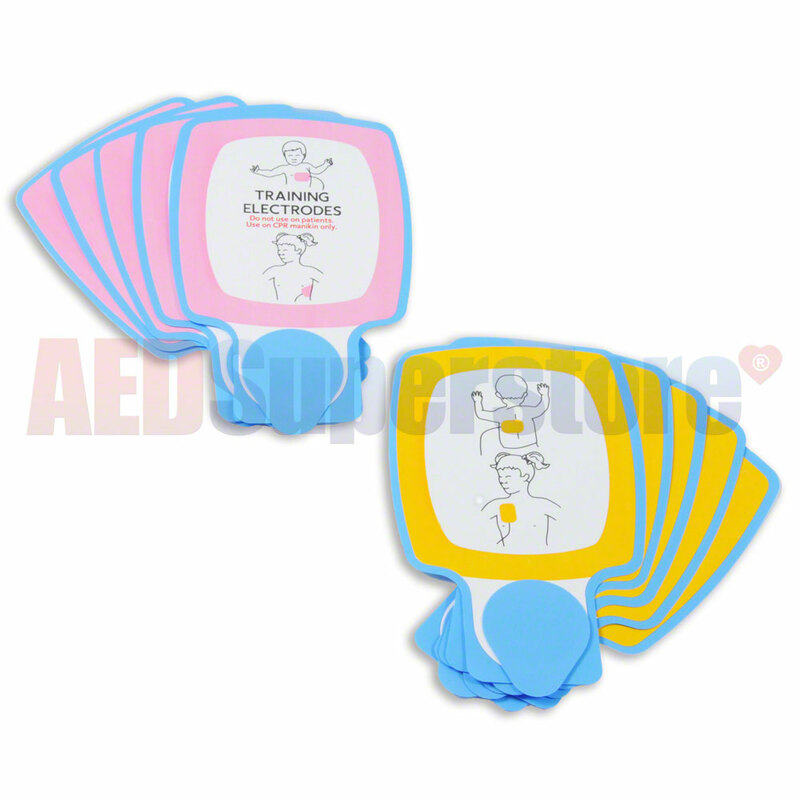 Pediatric TRAINING replacement adhesives -Pad Portion Only- for the LIFEPAK® CR-T AED training system and LIFEPAK® 500T AED training system. These are the replacement adhesive pads only, use with Pediatric Electrode Pad Kit p/n 3202792-004 (11250-000045). Contains 5-pairs of replacement pads.